You are not alone! I’m also very glad that this decision has been taken. No one person can rule this world and we are all just stewards. Everyone has the equal right to live their lives the way they want and since we are not ready to give up our personal preferences or abandon our ideas for others, why should we expect others to not live their lives the way they want just because some don’t agree with them? Yeah! I am a simple guy and some things seem very basic to me. This was one of those and you described it perfectly. It has been a bumpy road but hopefully the country will put the controversy behind us and start work toward making every one a ‘first class citizen’!! thank you for your comment and congratulations. Well thank you! We appreciate that. We have so long to go, but many thought we would never get this far, so I am delighted. I hope it makes us look more ‘civilized’ to the rest of the globe. I like your approach about discussing the topic because I feel the same way. I am thrilled about this decision but didn’t want to go into more detail in my post as it’s my own opinion. Thank you kindly! To state the obvious, I am a Poet not a Preacher!!! LOL! My opinions are dear to me, but I am not inclined at all to force them on others. I am glad to hear you have wisdom as well. You are welcome here anytime! 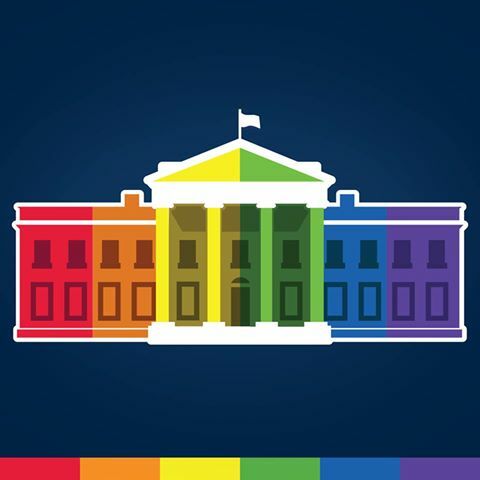 #LOVEWINS So very very happen! Now the freedom found in love can truly happen for all!! Good way to put it. It will take a while but we will all be better for it in the future. Congratulations on such a momentous change! It’s so wonderful to see love and fairness finally being supported. I agree totally. And this is a win – win. People that do not approve are not forced to do anything they do not want to do. Love and fairness ……. I wish that were the next political platform! Great to hear from you. Reblogged this on Elizabeth Kaye. You take no sides. You just support the rights of all people, including gays. Yeah. I had the same argument with my office mate, and here is what he said: “I belong to a church that does not believe in gay marriage.” He went on to say the Bible is clear on that issue. My response: good for you. Nobody is making your church marry gays. If you think that is the Supreme Court ruling, you are mistaken. The risk of Federal law imposing gay marriage on churches is microscopic. Less than the chance of them confiscating your guns. Oh, but realistic risk was never a part of the propaganda. Respond to your imagined risk! Hey, Tom! So true, I understand the conversation with your coworker from the win-at-no-cost propaganda strategy used in the argument. The easiest way to justify ‘evil’ attacks or pranks is to package your position as the innocent and persecuted; the injured. “I am right because I am just”. I.E. : Defense of Marriage Act. Who was, and Who would attack marriage in the first place???? Thank you for sharing. I still smile when I think about it so thank you also for making me smile! midimike – I agree on your strategy .. “I am right because” law, convention, etc. I never thought it would happen. A small thing but such a big step. Thank you! I am still applauding! Thanks. A great day indeed! Am ow subscribed to your blog and look forward to future posts. Have a blessed day. Glad to hear your thoughts. Please keep an eye out and we would love to see you posting again soon!